Mike and Sue Burgess found a buyer for their Spanish home much faster than they expected, thanks to the help of HomeEspaña. 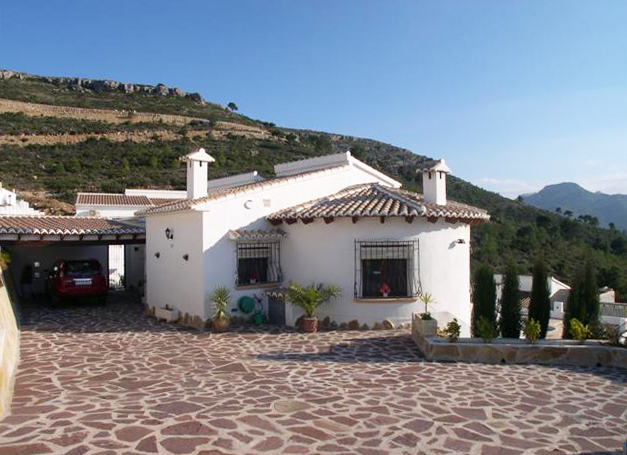 The Burgesses completed the sale of their villa in the pretty Jalón Valley at the end of June 2017, after 10 happy years living in inland Costa Blanca. They put their property on the market with HomeEspaña around November 2016 and by the end of March 2017 had accepted an offer. They arrived back in South Wales in July. The Burgesses, who have three children and two grandchildren, retired to the northern Costa Blanca in 2007. Initially, they based themselves in an apartment in Jalón which they had bought off-plan in 2002 and used as a holiday home. The home the couple recently sold was a two-bedroom, two bathroom villa in an urbanisation near the towns of Murla and Parcent in the Jalón Valley, an area also referred to as the Val del Pop. It had a swimming pool, gated front drive and beautiful views of the surrounding countryside.